This photo proves that one man’s collector car is another man’s winter driver. Although, knowing the owner as I do I know it’s not his winter driver. But he was driving it the day this photo was taken. In the winter. It’s a 1969 AMX, American Motors’ foray into the two-seat sports car market, an experiment which lasted only from model years 1968-70, before the AMX became another model name in the Javelin lineup. This one can still be seen from time-to-time in Buffalo. Even in good weather. 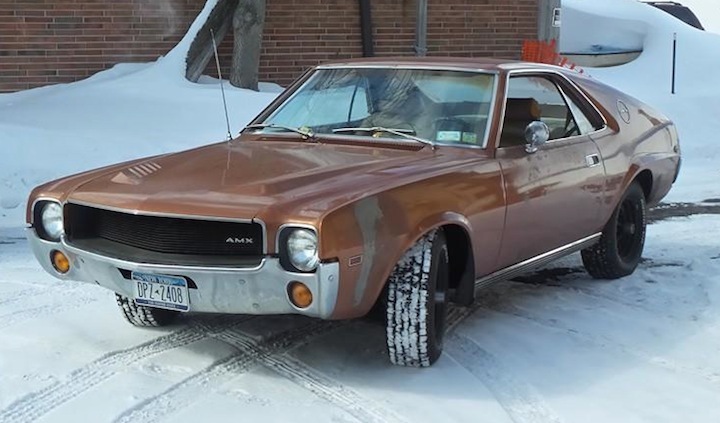 — Jim Corbran, RRofWNY The post RealRides of WNY appeared first on Buffalo Cars.